Pre-Engineered Building Addition in Ancaster Tradewind Business Park – LANCA Contracting Ltd.
Lanca Contracting Limited has been awarded the Design-Build contract to construct a new Pre-Engineered manufacturing building addition totaling 26,111 square feet. 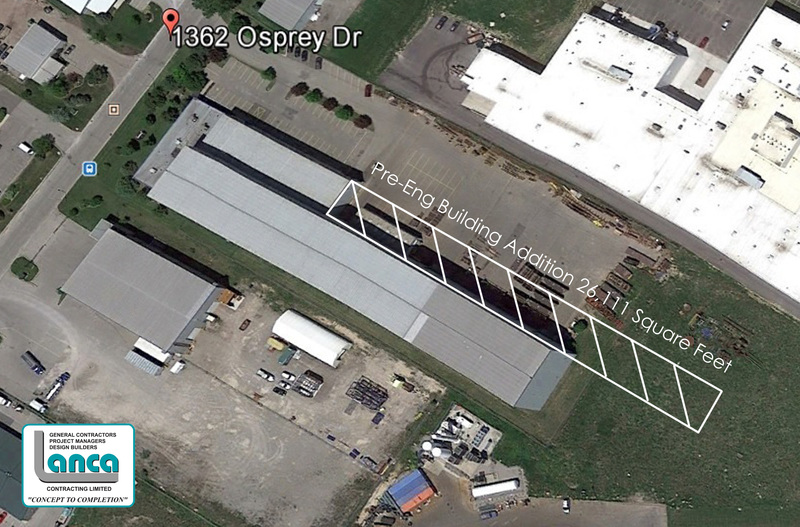 The building addition is in the prime industrial location of the Ancaster Tradewind Business Park. Some of the building features include (3) 7.5 ton cranes, standing seam roof, (2) 15’ x 18’ overhead doors and pre-finished metal siding. Construction is scheduled to begin June 2016.